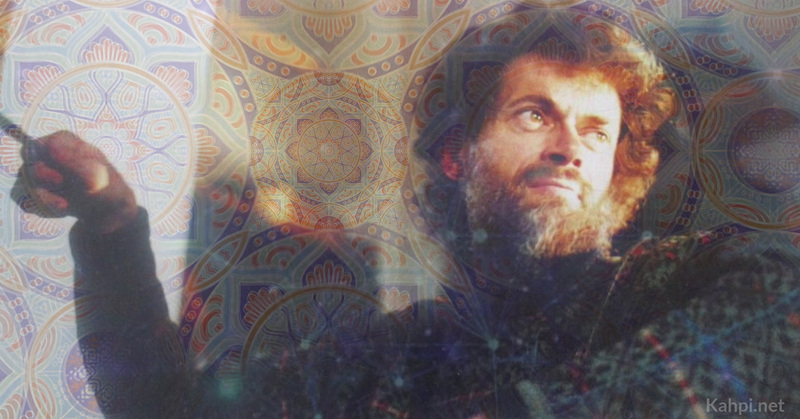 Fueled by a diverse curiosity for the non-ordinary, Terence McKenna's journey into the mystery was one of a kind. 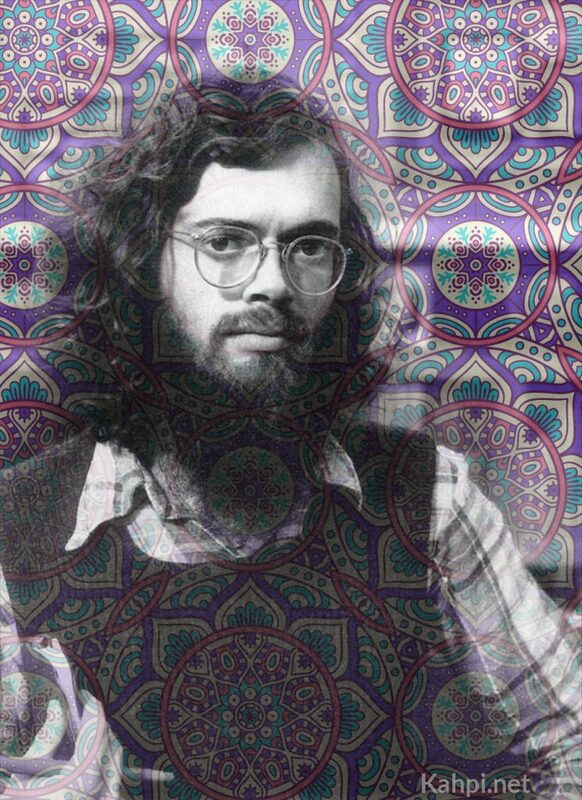 His books, lectures, and lifelong fascination with the "plants of the gods" made him an icon of psychedelic culture in the 1980s, 90s, and beyond. 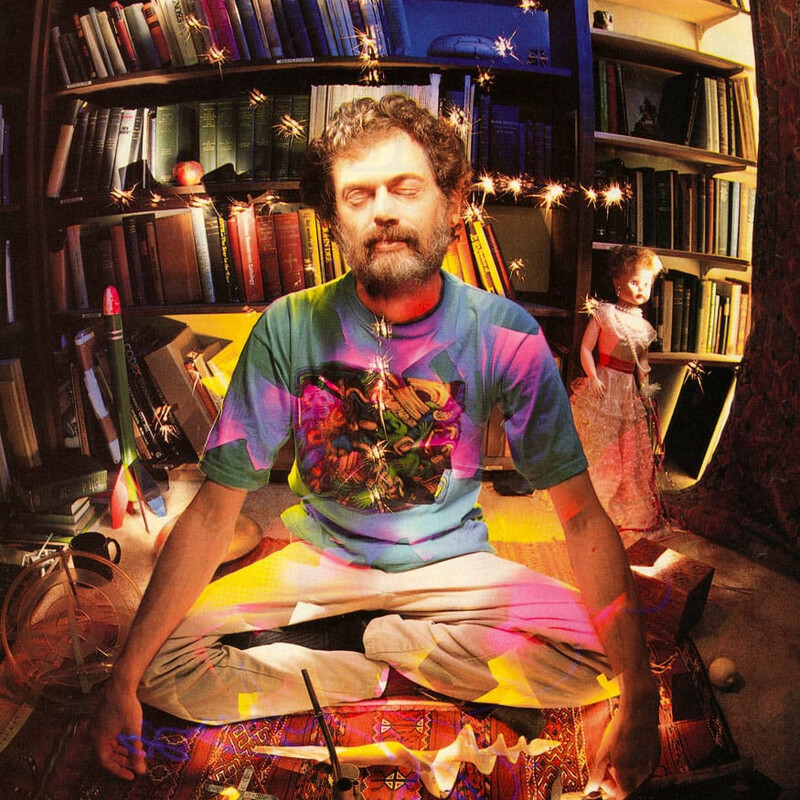 Praised by hundreds of thousands of zealous soul-seekers worldwide, Terence McKenna’s accounts of his experiences with psychedelic substances have gifted us with astounding glimpses into the otherworldly. 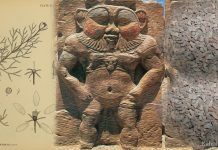 His lyrical intellect and learned interests included shamanism, renaissance alchemy, archeology, Jungian psychology, and technology. This made him a polymath like the psychedelic scene had never seen. May this brief portrayal of his existence be a homage to the knowledge he transmitted to our curious minds and the freedom to experiment he instilled in our wandering souls. Terence was born to a mother of Welsh heritage and father of Irish heritage on November 16, 1946 in Paonia, Colorado. (Interestingly, LSD was first synthesized on this exact day eight years earlier.) He was a curious child who nurtured many esoteric interests from a young age. When he was ten years old, he would blaze through literature such as Carl Jung’s Psychology and Alchemy in breaks from building his collection of butterflies and moths. 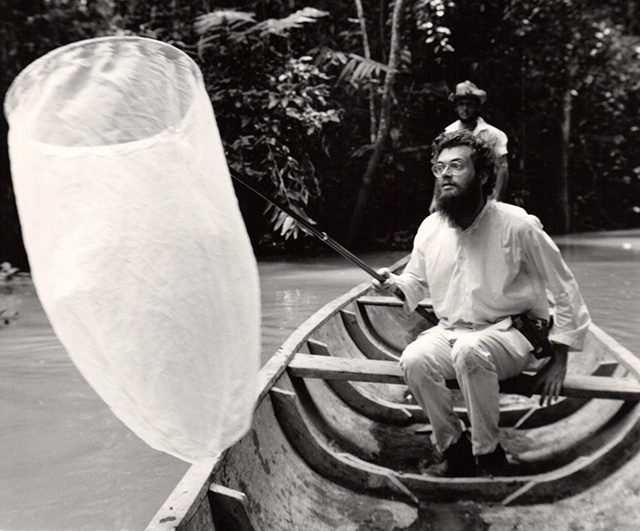 Little did he know that, decades later, he would be using the same butterfly net during his historic adventures to the Amazon rainforest in search of psychedelic substances. Terence’s unique verbiage was probably the deed of his grandfather, Joseph Kemp, who passed on when Terence was 13. As his brother Dennis notes, Kemp loved playing with language and would often invent alien-sounding vocabulary to describe anything from food to weather. It’s quite possible that his grandpa was one of Terence’s early idols and that he felt encouraged by Kemp to develop his intellect, curiosity, and ability of self-expression. Dennis and Terence were inseparable as kids, with a caveat that Terence was something of a mean child. In his memoir, The Brotherhood of the Screaming Abyss, Dennis recollects how his brother used to mercilessly tickle him, to the point of torment, as well as how Terence would tease classmates. Dennis still idolized him and followed his “cooler” older brother in whatever he was up to. Terence started experimenting with psychedelics as a teenager, introduced to the world of mind-altering substances by the works of Aldous Huxley and other legendary science fiction writers. As he himself once stated: “I regard science fiction as the entry drug into the psychedelic world.” When he was 17, he would grind up Heavenly Blue morning glory seeds and enjoy their mild trips while wandering among the Joshua trees in Southern California, where he lived at the time. He also took to smoking marijuana and claimed that it would henceforth be the connecting substance to his entire creative opus. However, his true induction into transethereal hyperspace took place when he dropped acid for the first time at the age of 19. Under the effect of what he would later popularize as a “heroic dose” of the purest LSD he could find, young Terence went through a complete dissolution of the boundaries of reality. 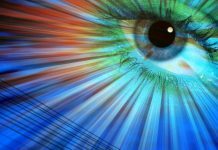 He would keep enjoying LSD for a long time to come; however, learning about the phantasmagoric visions of Huxley’s and Ellis’s worlds, he wanted a more potent visionary experience. These self-transforming machine elf creatures were speaking in a colored language which condensed into rotating machines that were like Fabergé eggs but crafted out of luminescent superconducting ceramics and liquid crystal gels. Inspired by these otherworldly experiences, Terence started getting curious about shamanism. Eventually, this line of research would bring him to the Amazon, but not before a short hiatus on the other side of the globe. 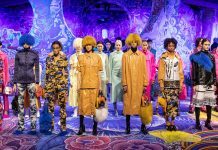 Spurred by countercultural icon Timothy Leary (who would later call Terence “the Timothy Leary of the 90’s”) and his famous freedom call that went “Turn on, tune in, drop out”, young Terence apparently decided to take the “drop out” bit to heart. So he headed to Nepal to study the Tibetan language, culture, and shamanism and, of course, become an international hashish smuggler. A man’s gotta make a living somehow, right? This excursion into the drug trafficking waters went sour when a shipment headed to America got intercepted by US Customs. Terence understood it was time to call it quits and spent his next life chapter traveling throughout Southeast Asia, stopping for a while in Indonesia to collect butterflies professionally, and in Japan to teach English. Ultimately, though, he would head back to Berkeley to continue studying biology. However, this period of stability turned out to be a brief one. His mother’s passing in 1971 would once again usher in a big transition. At this point, Dennis and Terence decided that the DMT experience was to be the most significant discovery of their lives, and that there should be no more important cause to dedicate themselves to than understanding and describing this strange, potent molecule. 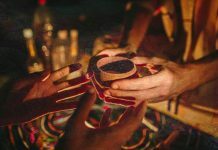 They researched and discovered an indigenous settlement in Southern Colombia that was using oo-koo-he, a DMT-containing sap taken from virola trees and prepared for oral ingestion. 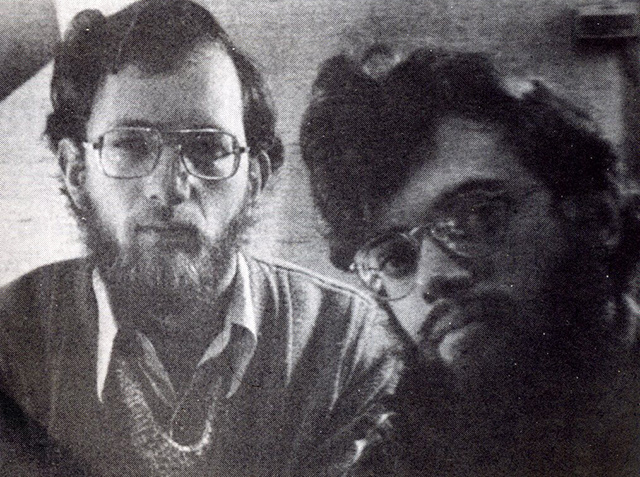 Already aware of the various DMT-snuffing customs in the Amazon region, they correctly assumed that an oral preparation would allow them more time in the nth dimensions of hyperspace, and so, in 1971, alongside three friends, they set out for an expedition to South America. Upon arriving in La Chorrera, the mission village that was home to the Witoto Indians, the oo-koo-he using settlement, the company was surprised to discover that the pastures there were brimming with a different psychedelic: psilocybin mushrooms. At first, the McKennas thought eating them would provide an interesting pastime until the moment seemed right to inquire about oo-koo-he and ayahuasca. However, this haphazard discovery would soon prove to be a pivotal, serendipitous side-purpose of their voyage. 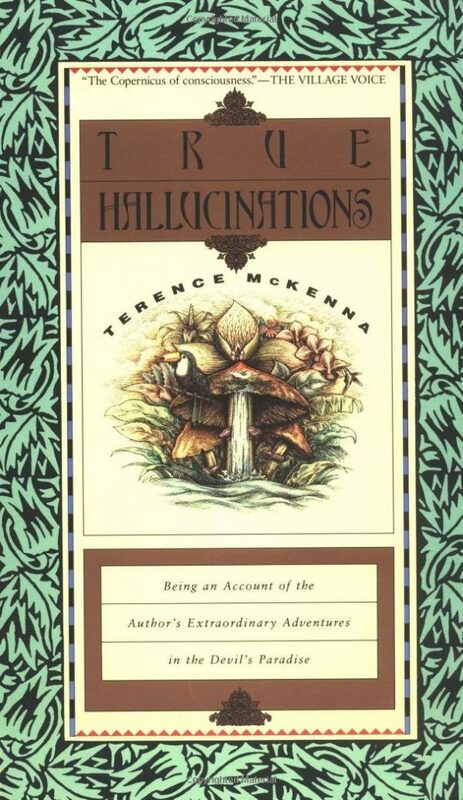 Published in 1989, True Hallucinations tells the story of Terence McKenna, his brother Dennis, and a small band of their friends, heading to the Amazon rainforest in search of the great mystery. They ended up making these mushrooms a regular element of their sustenance. As Dennis describes it, “The food we brought was inadequate, and you can make quite a nice bowl of soup or an omelette with psilocybin mushrooms.” Out of this constant state of altered consciousness, they would get many “funny ideas”, a string of which grew into what would thenceforth be known as the “La Chorrera Experiment”. This experiment came to Dennis as a telepathic download from the intelligent direction of “the Teacher, the mushroom, or whatever it was”. 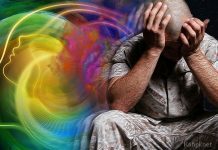 Under his instructions, the members of the group were supposed to attempt “creating, and then fixing, the mercury of [their] own consciousness, fused with the four-dimensionally transformed psilocybin-DNA complex of a living mushroom”. 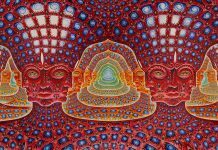 Basically, the goal was to achieve a superconductive state that would allow for creation of something like a symbiosis between their human DNA, the tryptamines in the ayahuasca vine, and the psilocybin in the mushrooms. You can read an in-depth account of the experiment and the events leading up to it in Terence’s book True Hallucinations and Dennis’s book The Brotherhood of the Screaming Abyss. 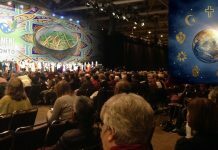 Our destiny was apparently to be the human atoms critical to the transformation of Homo sapiens into galaxy-roving bodhisattvas, the culmination and quintessence of the highest aspirations of star-coveting humanity. After this experience, Terence was ready to fully unfold as the visionary, prophetic advocate of psychedelic substances and altered states of consciousness we remember and celebrate him as. After finishing his studies, he co-authored two books with Dennis and then three more after their paths separated. He was published in various magazines and papers and went on many tours as a modern-day bard of the ineffable, retelling his awe of the wild worlds he had witnessed and continued witnessing. He was welcomed far and wide, regaling masses who absorbed every colorful word of his vivid, trance-like discourse. You can listen to many of these talks here. Eventually, this legendary human got stricken with one of the most lethal and least operable cancers in existence. A walnut-sized lump grew right inside his frontal cortex, and the prognosis was swift departure. As terrifying as the prospect of imminent death can be for many of us, Terence took it as well as humanly possible. 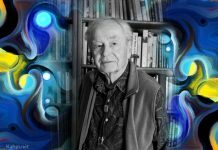 With all his experience exploring alternate worlds normally unavailable to the majority of 3D-dwelling humans, he was quite prepared to cross over forever—in his own words: “Taking shamanic drugs and spending your life studying esoteric philosophy is basically a meditation on death”. Spring of the year 2000 heralded his last days, which he spent in devotion to Buddhist practices and quiet reflection on what the future would bring to humanity, in the company of his last partner, Christy Silness, at their peaceful, reclusive hideaway in Hawaii. Terence brought us an infinite wealth of information from his journeys in this, and other, existences. Not a single psychonaut after him would come close to the phantasmagorical way he would weave stories to bring us closer to the unfathomable dimensions of reality. He made them describable, and he never did it with a Messianic undertone—his messages were always clearly idiosyncratic and inviting to discussion and attestation. As he would humbly state, close to his demise: “My real function for people was permission. Essentially what I existed for was to say, ‘Go ahead, you’ll live through it, get loaded, you don’t have to be afraid’”. He will be forever treasured for his contributions to the expansion of consciousness of the souls he touched with his account of the lore of the beyond. Happy birthday, Terence. Rest in awe.